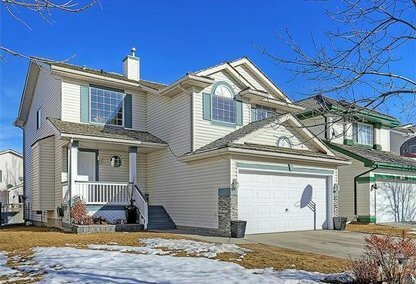 See the newest Douglasdale/Glen homes for sale & South East Calgary real estate listings below. Douglasdale/Glen is a housing community that is situated on the northern part of Deerfoot Trail. The Bow River runs through Douglasdale/Glen, to the east of the neighborhood is the Deerfoot Trail, 130 Avenue on its south, and 114 Avenue S is to the north of this area. The neighborhood was established in 1986. Discover just listed Douglasdale/Douglasglen neighbourhood properties for sale. Douglasdale/Glen housing market statistics: As of April 24, 2019 there are currently 62 properties for sale in Douglasdale/Glen listed as active, with an average asking price of $551,062. The highest-priced property is $988,888; the lowest priced property can be purchased for $355,000. Douglasdale/Glen neighbourhood listings have an average price of $325 per square foot, based on listings with 3.4 bedrooms, 3.2 baths, and 1,755 square feet of living space. Thinking of selling or buying a home in Douglasdale/Glen Calgary? Call Justin Havre at RE/MAX First - 403.217.0003. Our community of Douglasdale/Glen real estate agents will help you navigate the Douglasdale/Glen housing market in Calgary. Most residences in the Douglasdale/Glen community are single-family detached homes, and houses for rent make up only 1.7% of the homes in the area. The neighbourhood features a friendly community and a number of beautiful homes. The Douglasdale/Glen neighbourhood is full of desirable amenities for its residents. It's close to multiple recreational properties, such as the local golf course, clubhouse, and the Southcentre Mall. Fish Creek Provincial park and Lake Sikome provide plenty of recreation opportunities as well, such as pathways for walking, running, and biking. Douglasdale/Glen's neighboring communities are McKenzie Lake, Diamond Cove, and McKenzie Towne. The closest LRT stations in the area are Anderson Station, Southland Station, Heritage Station, Fish Creek Lacombe Station, and Canyon Meadows Station. For avid readers, the closest libraries to the community are Alexander Calhoun Branch, Shanessy Branch, Southwood Branch, Glenmore Square Branch, and the Fish Creek Branch. The community centre offers a capacity of 360 people, wheelchair access, spacious meeting rooms, a stage, kitchen, tennis courts, an outdoor skating rink, and sports fields. The centre also houses spots for bingo, seniors programs, and fitness. Schools serving the Douglasdale/Glen community include the Catholic school Msgr. J.S. Smith and Douglasdale Elementary. Other local schools include Scarlett High in Canyon Meadows, Lord Beaverbrook High, Lake Bonavista Elementary, Haultain Memorial Elementary, Riverbend School, Holy Angels, Queensland Downs Elementary, Maple Ridge Elementary, Don Bosco, R.T. Alderman School, and Willow Park Elementary. Thinking of buying or selling a home in Douglasdale/Glen? Let our local real estate agents help guide you through the purchase of your next home, or to expertly negotiate the sale of your current home. As local Douglasdale/Glen real estate agents, we're experts on the market dynamics unique to the Douglasdale/Glen real estate market. We'll get to work for you today! Contact Justin Havre at RE/MAX First - 403.217.0003 to learn more about buyer or seller representation. Planning to sell your Douglasdale/Glen home? 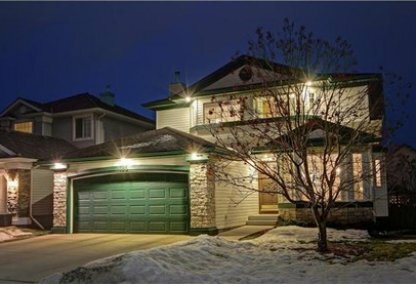 Check out our free home evaluation, where you can instantly price your Calgary home price your Douglasdale/Glen home online, in minutes!